Pursuant to the International convention, the ship arrest in Bulgarian sea port can be executed against a commercial ship only, regardless the flag under which it is registered under. A ship arrest cannot be executed against a government owned ship or non-commercial ship. The ship arrest procedure can be done both as a preliminary security for a non-filed maritime claim or as a security measure for entered into force court decision. The latter case has its specifics, relating to whether Bulgaria has bilateral treaty for mutual recognition of legal acts. Each case should be assessed separately. With regard to the first case, mentioned above, the ship arrest can be executed as a lien or injunction, which will secure the maritime claim against the ship owner or any third party who operates the ship. The legal grounds for execution of ship arrest in Bulgaria are listed in Article 1, point 1 of the Ship Arrest convention 1999. These are all possible maritime claims, stipulated and defined by the convention. 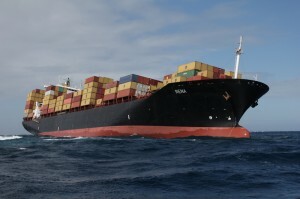 The most common would be claims for goods, materials, provisions, bunkers, equipment (including containers) supplied or services rendered to the ship for its operation, management, preservation or maintenance; claims for construction, reconstruction, repair, converting or equipping of the ship; claims for port, canal, dock, harbour and other waterway dues and charges etc. The ship arrest procedure starts with an application to the local District Court, where the ship is currently located. For Bulgaria these are Varna District Court and Burgas District Court. The application should be legally grounded and should enclose all the documents, proving that the ship arrest will be justified. Sometimes the District judge will require a payment of refundable deposit, which will be returned upon successful maritime claim. The ship arrest court order will be issued within 3 days as of application submission. The execution of the ship arrest order is done by the captain of the port, where the ship is located. The ship arrest is just security for the maritime claim. Following the common rules of the Civil Proceedings Code, the judge will give the claimant 30 days after the ship arrest order is issued, to file its maritime claim. The Merchant Shipping Code allows the Bulgarian court to hear any maritime claims for which a ship arrest order has been issued. In case there is an arbitration clause between the parties, the court is bound to it and the case can be heard in the agreed arbitration jurisdiction. As a qualified transport lawyers and members of Sofia Bar, we do provide representation before Bulgarian courts, including application for ship arrest and legal defense against ship arrests. Contact us to get a quote for your case.